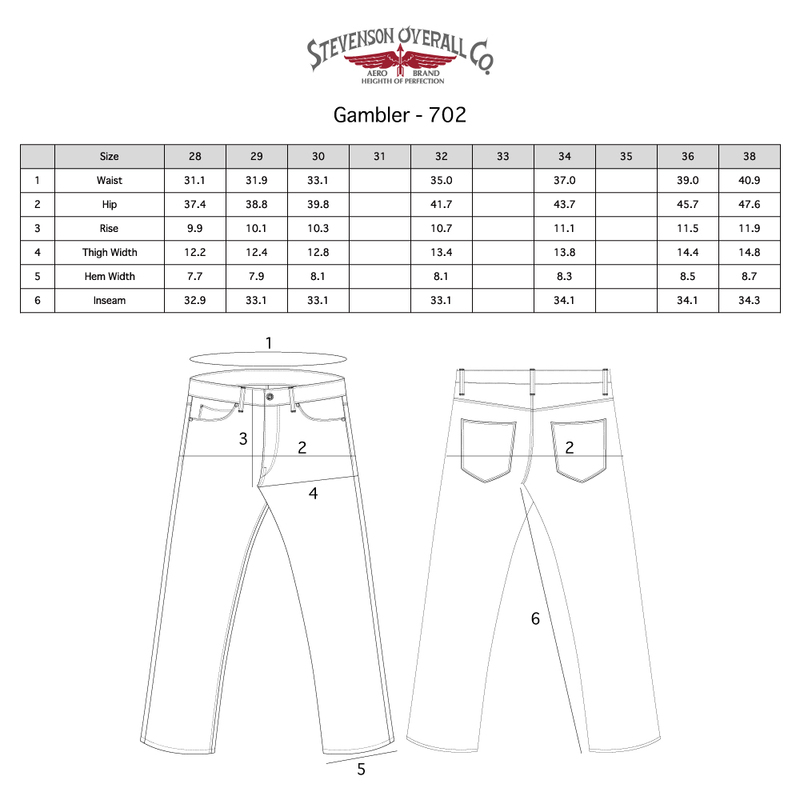 The ‘Gambler’ is a slim-straight pair of trousers. 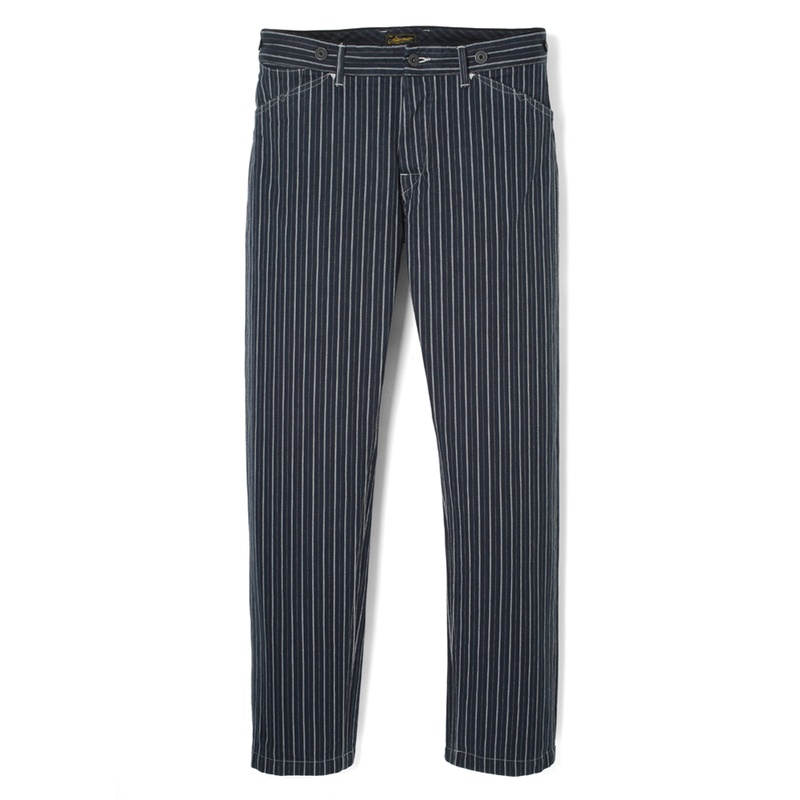 The waistband and pockets feature suede piping. Front pockets feature detailed decorative stitching. 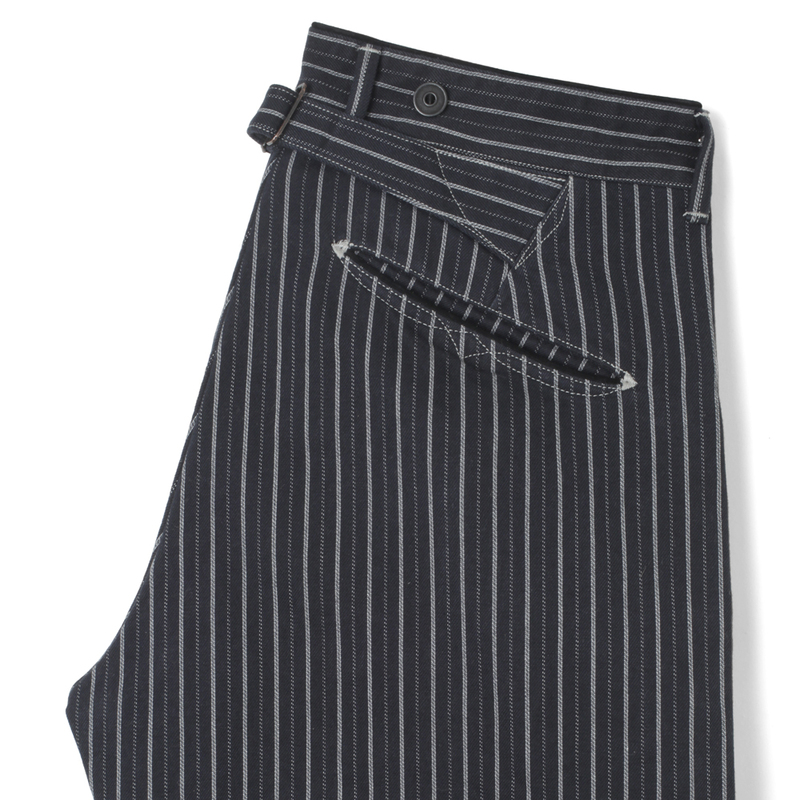 Back pockets are cut round in a smile pocket structure and placed in an inverted V position. Pockets are reinforced using a bar tack. Buckle-back is sewn over the pleat, with suspender buttons on waistband for classic look. All details of interior are finished with a flat-felled seam instead of the contemporary overlock stitching. A custom-produced selvedge dobby strip fabric, woven on vintage looms. The yarns are hank dyed and woven with a low-tension to create a vintage-like characteristic.